With its numerous architectural monuments, unique churches, ancient castles, and many historic sites to explore, Krakow has always piqued the interest of spectators and connoisseurs of high art. It turns out that there is a lot of history to absorb, plenty of delicious food to eat, and so much to do in this city that was once elected the European Capital of Culture. If you’re headed to Krakow for a holiday, you should consider adding the following 15 day trips to your travel itinerary. Watching movies about the Holocaust is one thing, but visiting the place where it all took place is an entirely different thing. 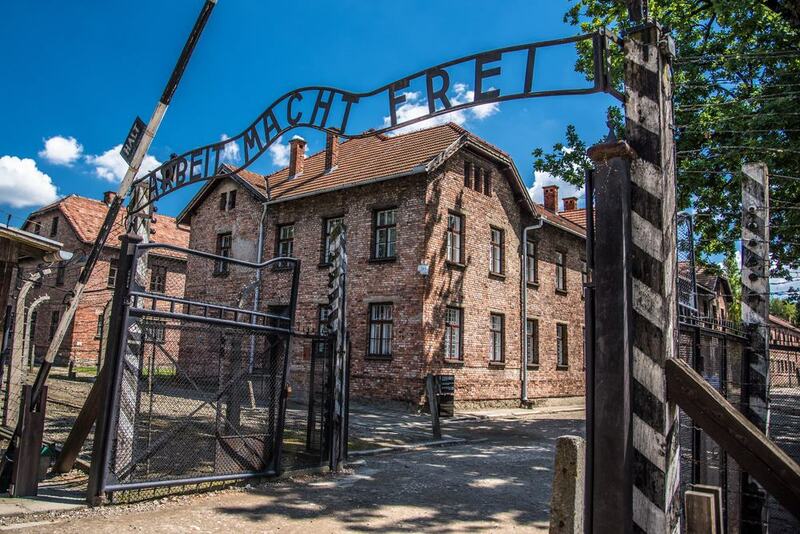 To get a clearer picture of what really happened during what’s widely termed as the darkest time in history, you need to visit the Auschwitz-Birkenau death camp, which is one of the concentration camps located just an hour’s drive from Krakow. This is one moving tour that will turn out to be worth both your time and money. 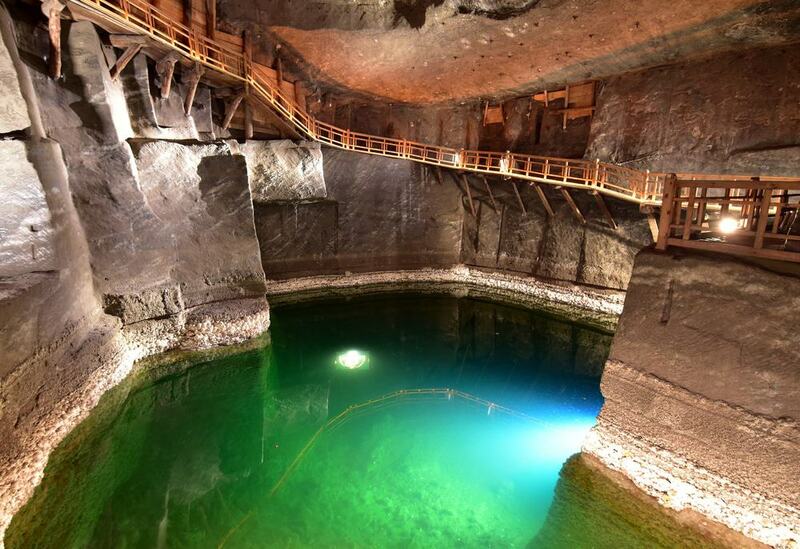 Many travelers consider this salt mine, which is the oldest salt mine in the world, a ‘must-see’ when visiting Krakow. The mine has been in operation for over 700 hundred years, so there’s a lot to learn about its history and heritage. During the trip to the Wieliczka Salt Mine, you’ll descend 140 meters (462 feet) to the atmospheric depths of the salt mine and marvel at the working mining machinery and the impressive salt sculptures. Zakopane is Europe’s most popular mountain resort north of the Alps. It is one of the places that most travelers go to when wanting to escape the bustle of the city. Besides being the winter sports capital of Poland, Zakopane allows you to view the breathtaking mountain architecture of the Tatra Mountains. While you’re at it, you can try Oscypek, a delicious smoked cheese that’s offered here. The town is a 2-hour drive from Krakow. This park is known to be the most Alpine of all national parks in the country. 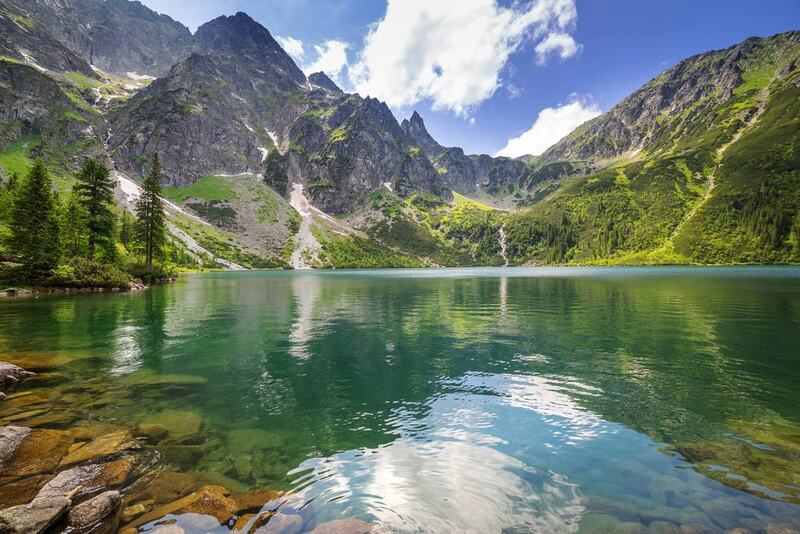 By European standards, Tatra National Park is relatively small, spanning 211,000 km. Millions of tourists visit the Tatra National Park, many of them citing its rich landscape and alpine character as the “wow” factors. Another huge attraction is the cable railway on Kasprowy Wierch, which is one of the oldest constructions of its kind in Poland. Tatra National Park is also the natural habitat of unique animal species, including wolf, wildcat, lynx, bear, marmot, and chamois. At the park, you can engage in many activities, including paragliding, skiing, mountain climbing, hiking, and cycling. This is one spiritual tour that you can’t afford to miss, especially if you are a Catholic. 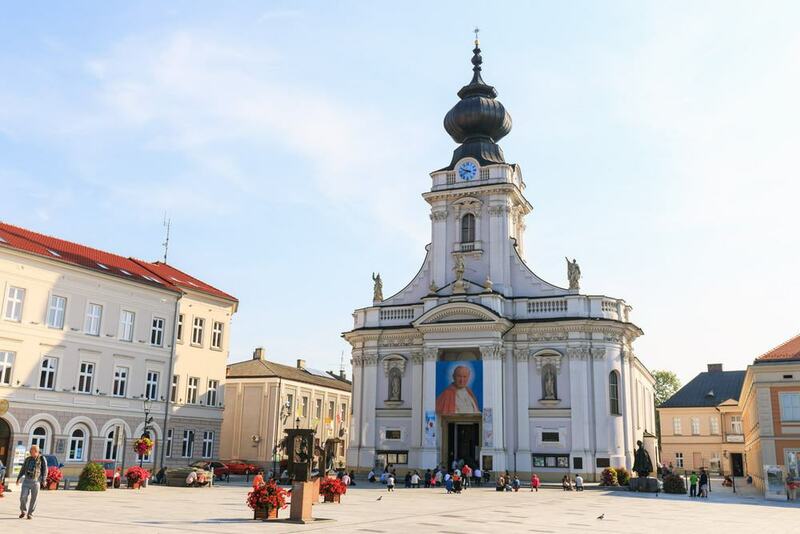 Wadowice is the birthplace of Pope John Paul II, and a tour to the place will enable you to explore the saint’s family home, the place of his baptism, and where he went to high school. The flat where he lived is located on 7 Koscielna Street, and it’s now a museum where people can learn a lot about the life of the late Pope. It’s best to travel by bus from Krakow to Wadowice, a trip that will take about 1 hour and 15 minutes. 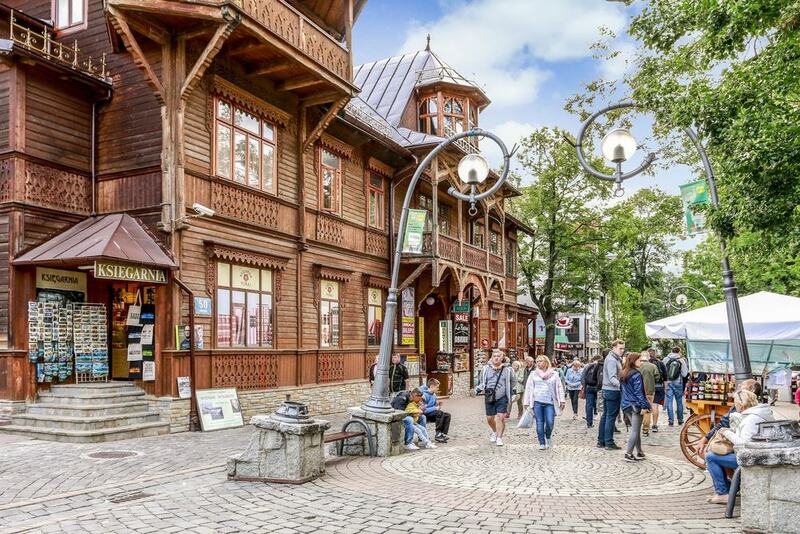 A tour of Czestochowa, which is Poland’s religious capital, will enable you to see a variety of attractions, ranging from ancient churches to castles. The most popular feature of the Czestochowa City is certainly the Black Madonna painting. This famous painting was created by St. Luke, after the Virgin Mary appeared to him. Besides being surrounded by many mysteries, the painting has also been credited with many miracles. You can take a look at the magnificent Black Madonna painting in the Jasna Góra Monastery. You can get to Czestochowa from Krakow either by bus or by train. This is a tour that will take you to one of the most picturesque attractions in southern Poland. The Dunajec River is the border river between Poland and Slovakia. The river gorge, which is featured on UNESCO’s Tentative List of World Heritage Sites in Poland, is distinguished by some of the most fascinating geological structures and natural ecosystems. 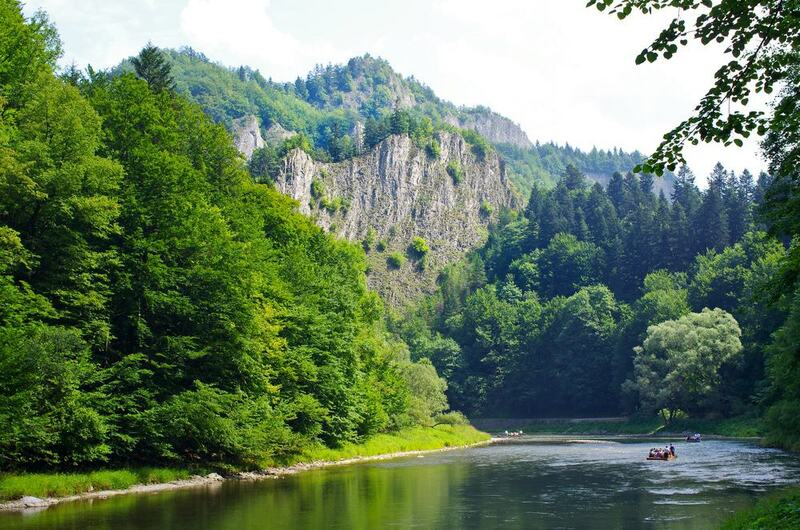 Your tour will involve cruising down the Dunajec River Gorge in a wooden raft, whereby you’ll be able to see flora and fauna, as well as gaze at spectacular mountain views from Gubalowka Hill. 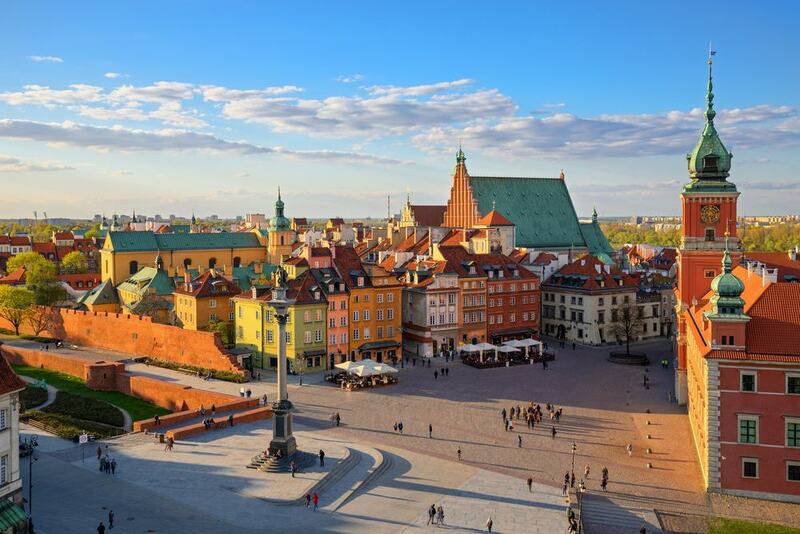 When in Poland, your tour cannot be complete before exploring its capital city – Warsaw. You can ride the express train from Krakow to Warsaw in less than 3 hours. 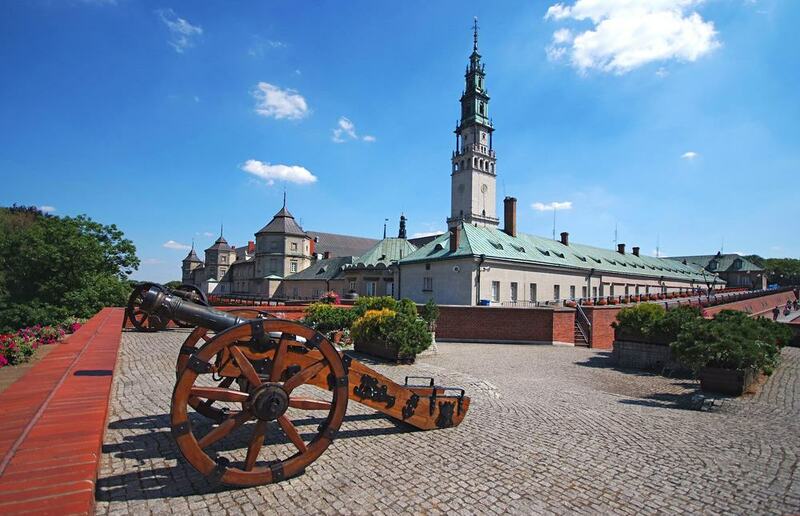 During your tour of Warsaw, Poland’s capital city, you will get a chance to explore the wide variety of attractions including historical sites, museums, monuments, theaters, medieval castles and the mansions of the Polish nobles. You can also make your way to the Royal Baths Park, which is the biggest public park in Warsaw. Spanning 21.5 square kilometres, Ojców National Park may be the smallest out of the 20 national parks in Poland, but it’s definitely one of Europe’s most attractive recreational centers. This park is 24 kilometers northwest of Krakow, which is just a 15-minute drive. While at the park, you can spend your day exploring the abandoned castles and hidden caves. 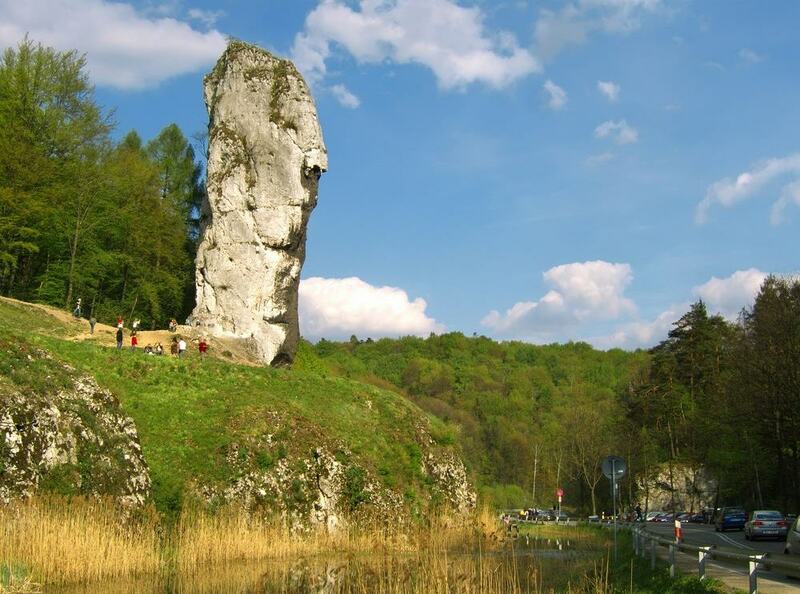 The King Lokietek Cave, for example, is must-see attraction, as it’s believed to have been King Wladyslaw Lokietek’s secret hideout during the 14th-century war. The Ojców castle is also believed to have been a safe hideout for kings. The trail of the Eagles’ Nests, which is the trail of medieval kings and knights, is one of the most beautiful and popular tourist trails in Poland. The name of the trail is derived from the ruins of fortresses and castles, popularly known as Eagles’ Nests, which were built on top of steep hills. During your tour, you will get to explore the breathtaking landscapes, discover castles, and listen to captivating stories about ancient kings. 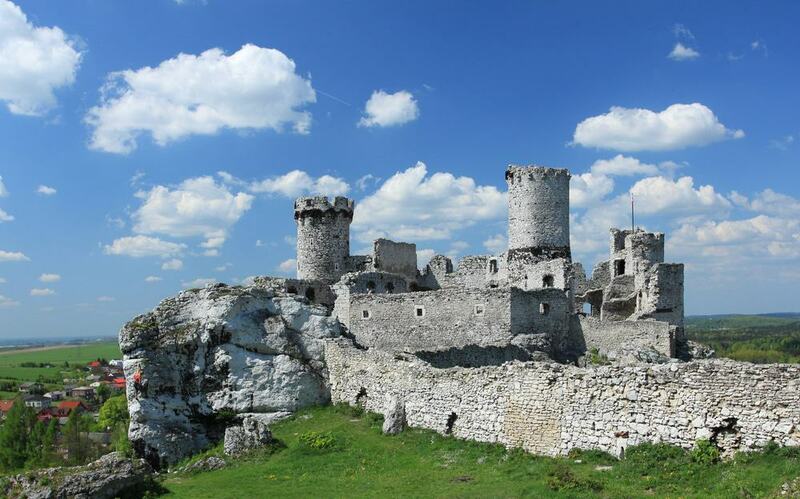 Legend has it that the largest castle in the region, Ogrodzieniec, is haunted by ghosts. This 400-year-old massive complex consists of 42 churches and chapels of all sizes and shapes. The Calvary Sanctuary, which is a UNESCO’s World Heritage Site, is the biggest sanctuary in Europe. Besides being a treasure of architectural beauty, the sanctuary is a great place for peace, calm, spirituality, and a deep, meditative mood. While the spiritual tour will undoubtedly be good for your soul, you’ll also need some solid food for your body. Luckily, you’ll be able to taste delicious Polish culinary specialties while here. Be sure to try a variety of appetizing treats, from the sour soup “Krupnik” to the delicious cabbage stew “Bigos” and the refreshing brewed beer “Zywiec”. Located in Southern Poland, Babia Gora National Park is one of the two national parks in close proximity to Krakow. It’s also one of the smallest parks out of the 23 national parks in the country. 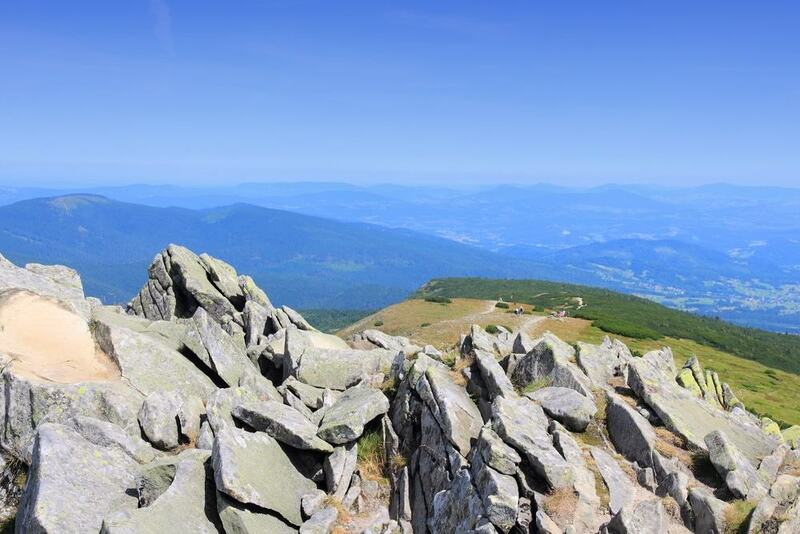 It’s situated in the Beskid Żywiecki mountain range, which is the second-highest mountain range in Poland. Besides offering outstanding ski pistes and breathtaking views, this park is also home to a wide variety of wildlife, including bear, wolf, lynx, and deer. Owing to the abundance of extraordinarily rare flora in the park, UNESCO listed the park as one of the best biosphere reserves in the world. Malopolska, the region of Poland in which Krakow finds itself, is some sort of a traveler’s gold mine. It’s here where diligent travelers often find themselves spoilt for choice when it comes to sampling sites that have been featured in the coveted UNESCO World Cultural and National Heritage list. 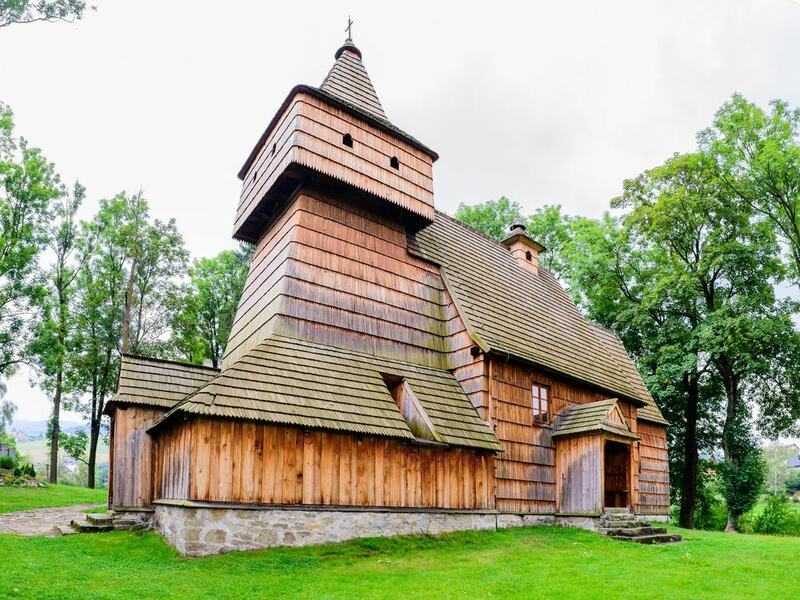 In Malopolska, there are 237 sites renowned for ancient timber buildings such as churches, cottages, granaries and manor houses. Out of these sites, 4 (all churches) have made it onto the esteemed UNESCO list. 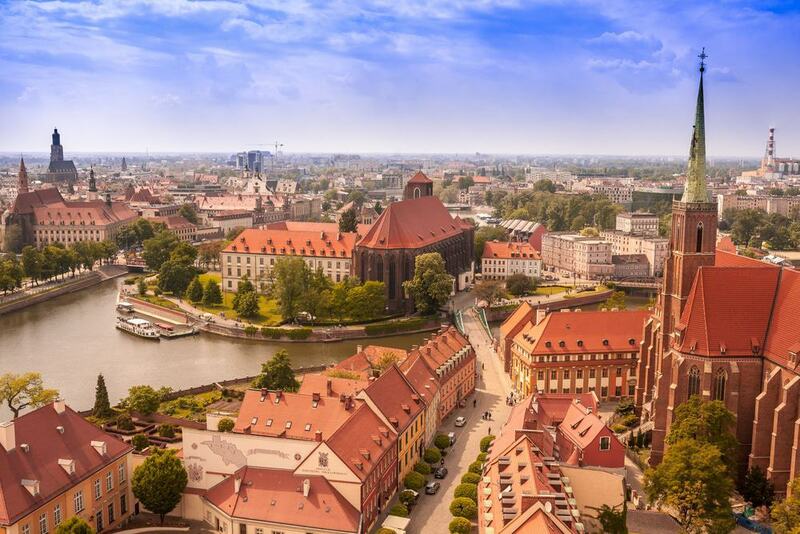 With its 12 islands and over 100 bridges, Wroclaw is without a doubt one of the most attractive cities in Poland. There are two essential places that you shouldn’t allow yourself to miss while in this wondrous city of exceptional beauty and rich history. The first one is the Market Square, which features the Wroclaw City Hall, which is considered to be one of the most splendid Gothic-Renaissance buildings in Central Europe. The second place to visit is the Centennial Hall, which is an exceptional piece of architecture and the only UNESCO World Heritage site in the city. This is Poland’s most famous lake. It’s enclosed by the Tatras mountain peaks, creating an awe-inspiring panorama. To reach the lake, you can try the scenic 9km-route by traditional horse-drawn carriage or on foot. 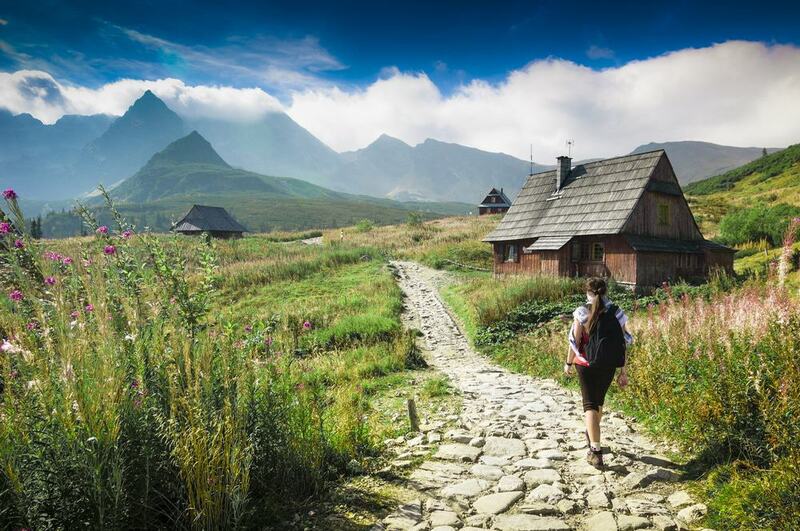 Also in the vicinity is the PTTK mountain hostel, which is among the oldest and most beautiful shelters in the Tatra Mountain. For those in good physical shape, consider exploring the Valley of the Five Lakes, which is another stunning place within the area.